Mourners have gathered to pay tribute to the late Thai king. Bhumibol Adulyadej was the world’s longest-serving monarch when he died on October 13. 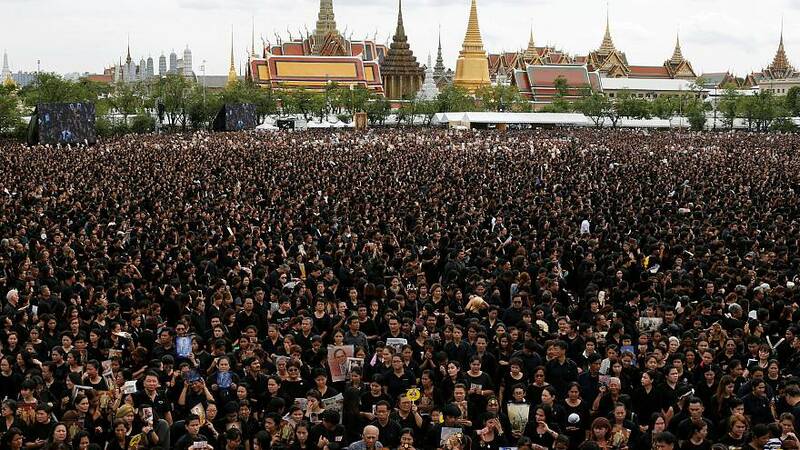 Up to 150,000 people, almost all dressed in black, sang the royal anthem near the palace in Bangkok.